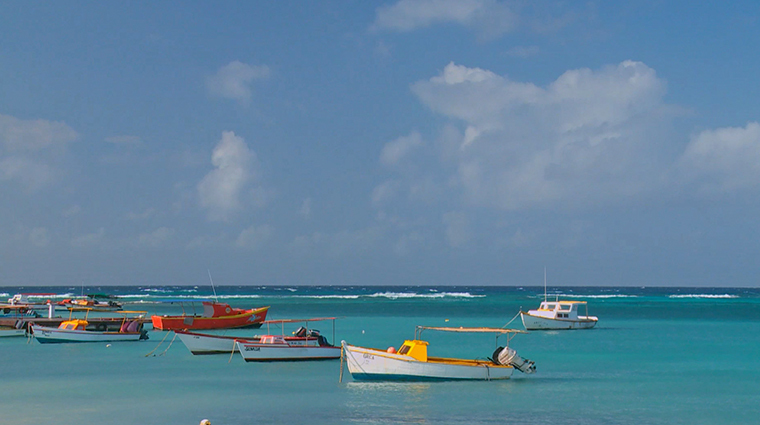 As the “A” of the Dutch Caribbean trio called the ABC Islands (which also include Bonaire and Curacao), Aruba has the type of consistent, near-perfect weather that makes it a huge draw to visitors. Located just off the coast of Venezuela and outside of the hurricane belt, the island’s temps remain in the mid-80s year-round with cooling trade winds, and scant annual rainfall (approximately 20 inches per year). And with its eclectic selection of quality resorts, a cosmopolitan dining scene, excellent casinos and friendly locals, it’s easy to see why this little island has the highest repeat visitor ratio in the Caribbean. Of course, having some of the world's most beautiful beaches might also have something to do with its eternal popularity.